Angelica is a fascinating plant - the most archangelic of angels in the woods if we believe its Latin name. The huge stems and tender green leaves rise up to a man height in wet woodlands. I have one angelica plant in my garden too and watch her grow with reverence. Not only is angelica part of many commercial drugs sold in regular pharmacies, it is edible. 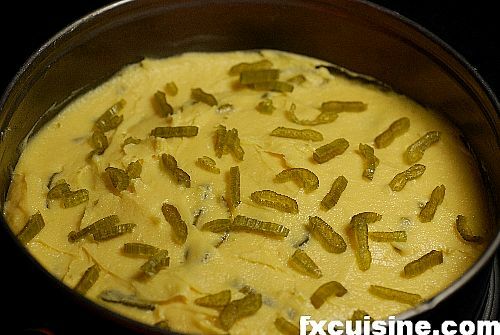 Its delicate taste permeates the stems, leaves and even seeds which are used in Persian cooking. 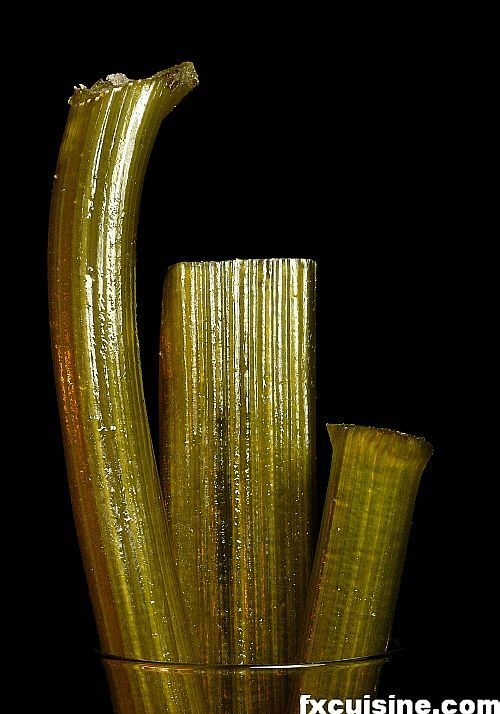 The French make candied angelica stems by immersing them in increasing concentrations of sugar for days. 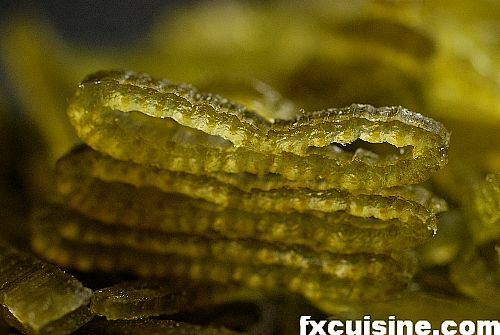 You'll find angelica in many chopped candied fruits mixes - they make the green part. 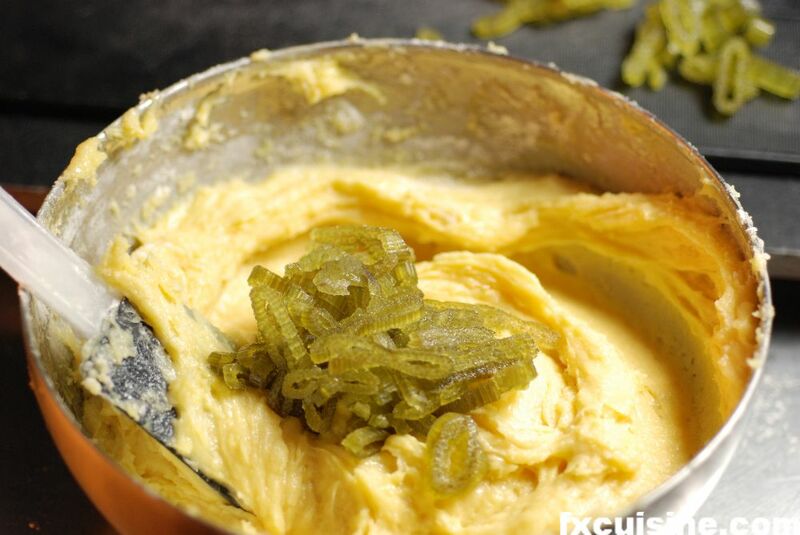 But the whole stem is relatively rare to find and few dishes use it. 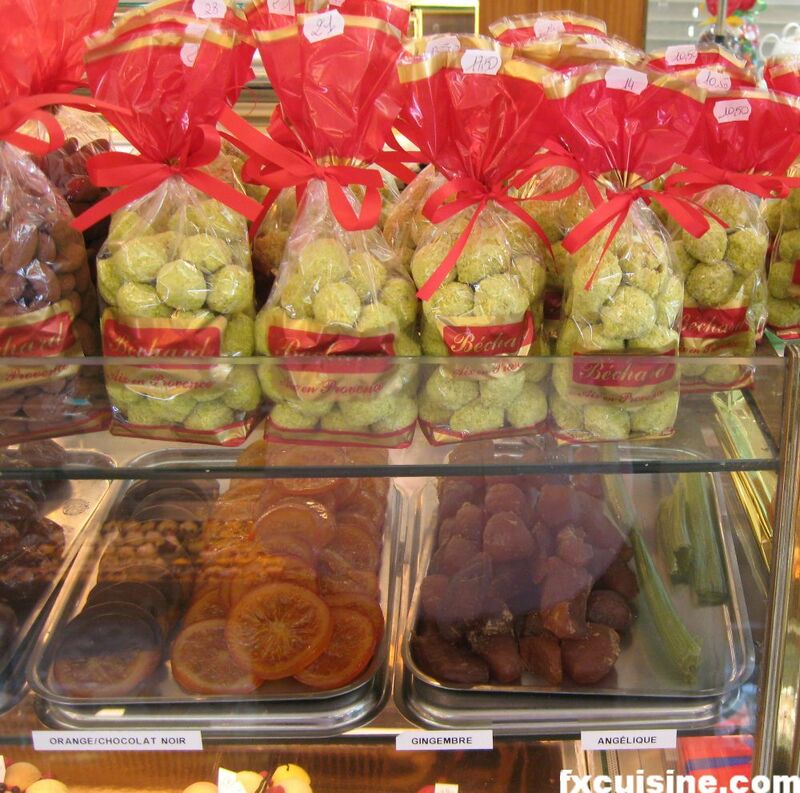 Last week I bought a few candied angelica stems at Béchard (picture) in Aix-en-Provence, the city's top confectionery stop and a mandatory stop for the wandering glutton. 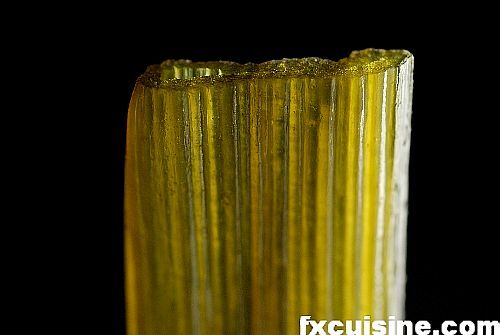 Here are 3 of the 4 candied angelica stems I used in this recipe. The translucent green color is really awesome - there is definitely something magical in this plant. Part of Herb Blogging 11VI2007. 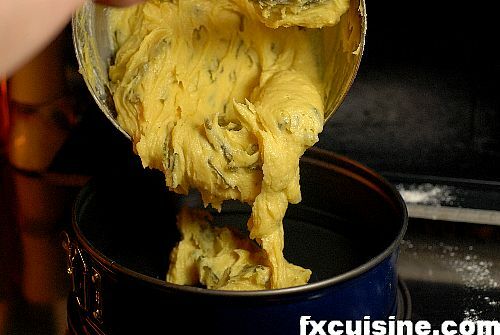 Take the butter out of the fridge an hour before starting. 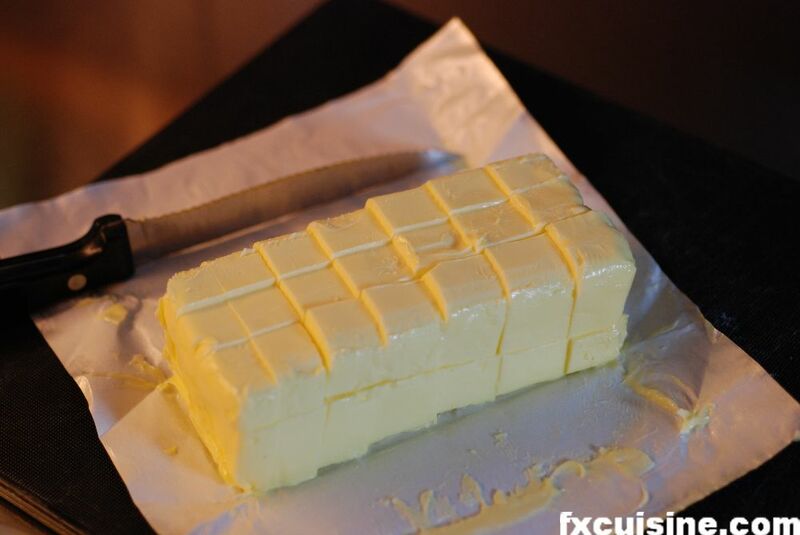 When it reaches room temperature, cut butter in small cubes (picture). 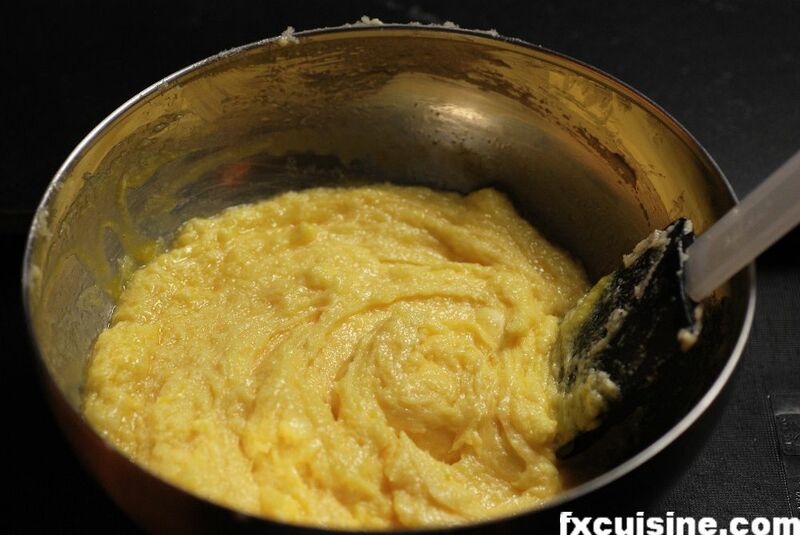 Separate the egg yolks from the whites and beat together sugar, yolks and butter. 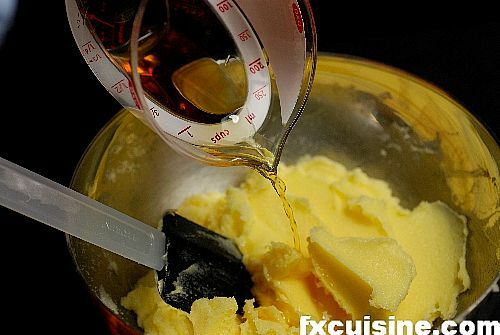 Add the cognac and a drop of orange blossom flower and mix (picture). 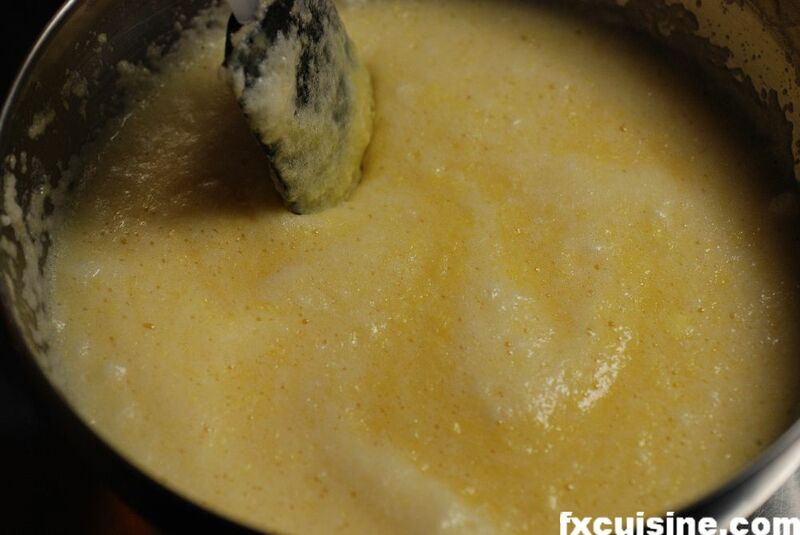 Beat the egg whites to a foam and delicately them mix into the batter until you obtain a smooth and airy mixture (picture). 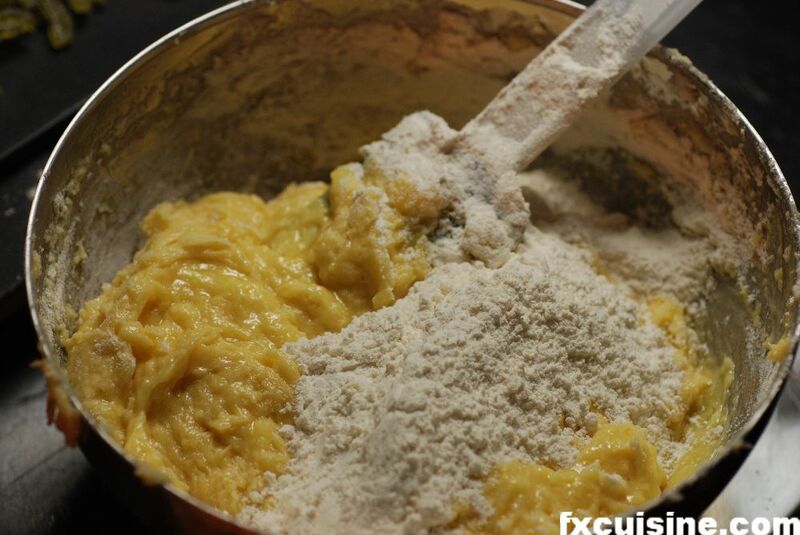 Gradually add the cake flour (picture) and combine with a light ascending motion with a plastic paddle the French call maryse. Add the chopped angelica stems (picture). 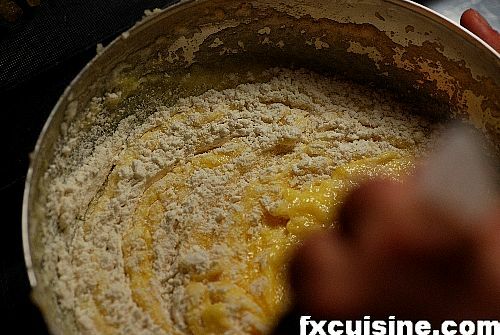 Butter a cake pan and sprinkle a little flour inside to prevent the cake from sticking. 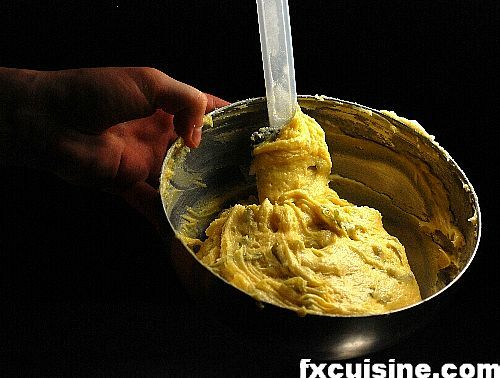 Gently pour the cake batter into the pan. Sprinkle the reserved chopped angelica on top and bake at 180°C for about 50 minutes or until light brown. 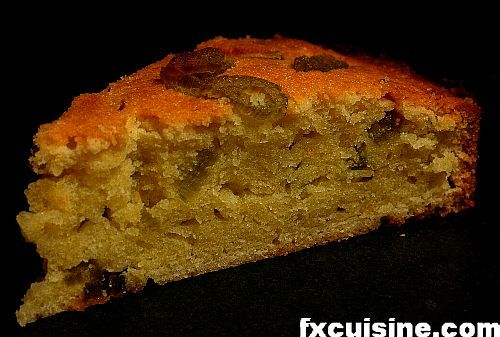 Remove and let the cake cool down a little. 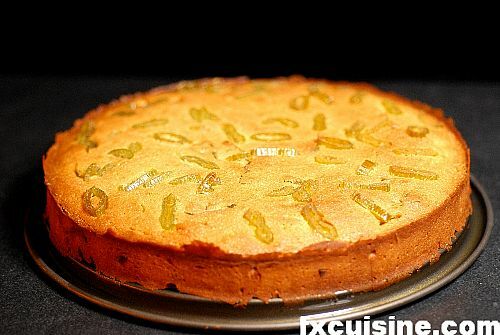 I won't lie and tell you this cake is the best I ever made. It was somewhat dry and lacked sophistication. I see this as a way to honor the lady of the woods - Angelica Archangelica. Sorry to leave this in the comments, but the last sentence says, "I won't like and...", did you not mean, "I won't lie and..."? Anyway, love your blog, the photos are magnificent. How do you crystalise angelica. I have three large specimens growing in my garden which are much loved by bees and other insects. I would like to put at least one of the plants to good use, thank you! FX's answer→ Hello Thom, thanks for your kind words! 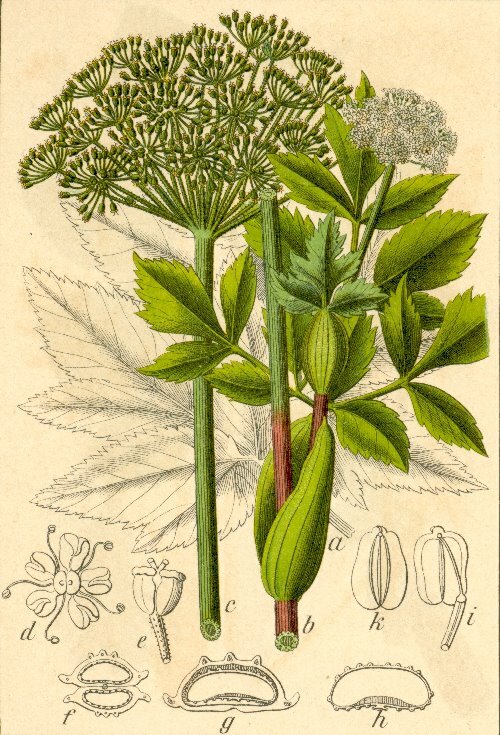 A beautiful plant indeed, actually I have a French book entirely devoted to Angelica Archangelica. What a poetic inhabitant of the woods! I used a Nikkor 60mm, the old version, great lens, and a 1000W photographic light shot through a translucent umbrella if my memory serves me right. 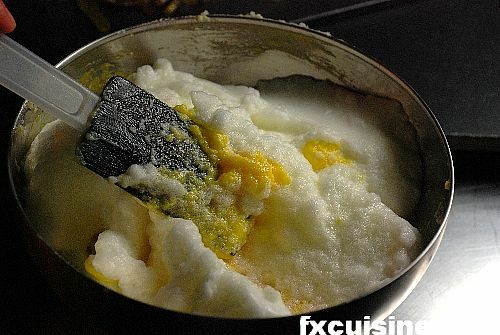 You'll find 230 other articles on the website with similar pictures mostly. FX's answer→ Good luck in candying the Angelica stems, a lovely plant it is. 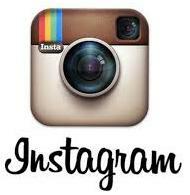 And the plant? Do you know how I can find it? FX's answer→ I have tons of angelica growing in the garden, you can find it in the woods also, and buy seeds online too.